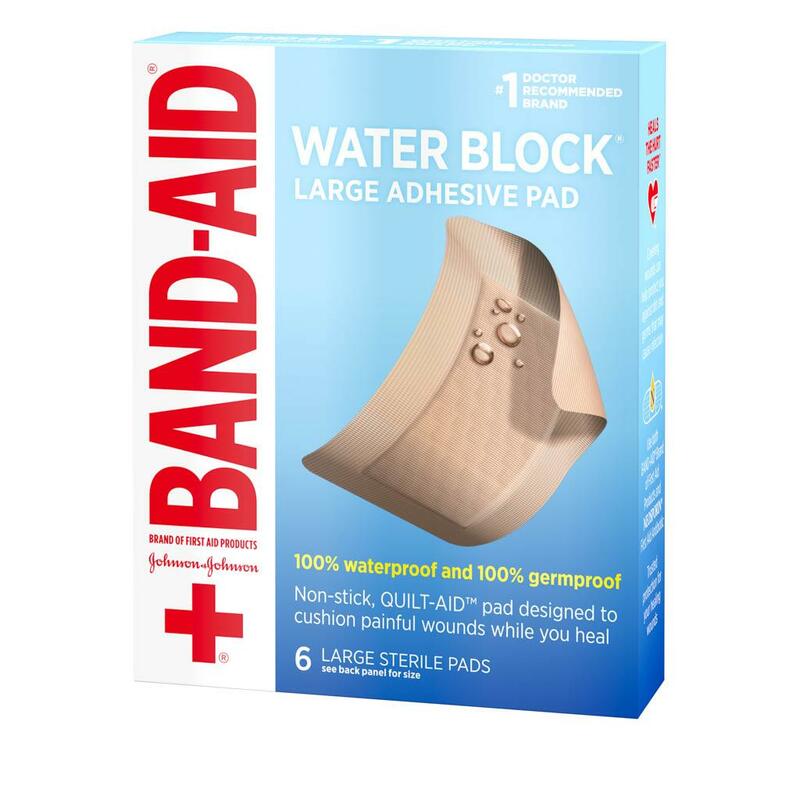 BAND-AID® Brand WATER BLOCK® Large Adhesive sterile waterproof Pads keep larger minor cuts and scrapes dry and protected. 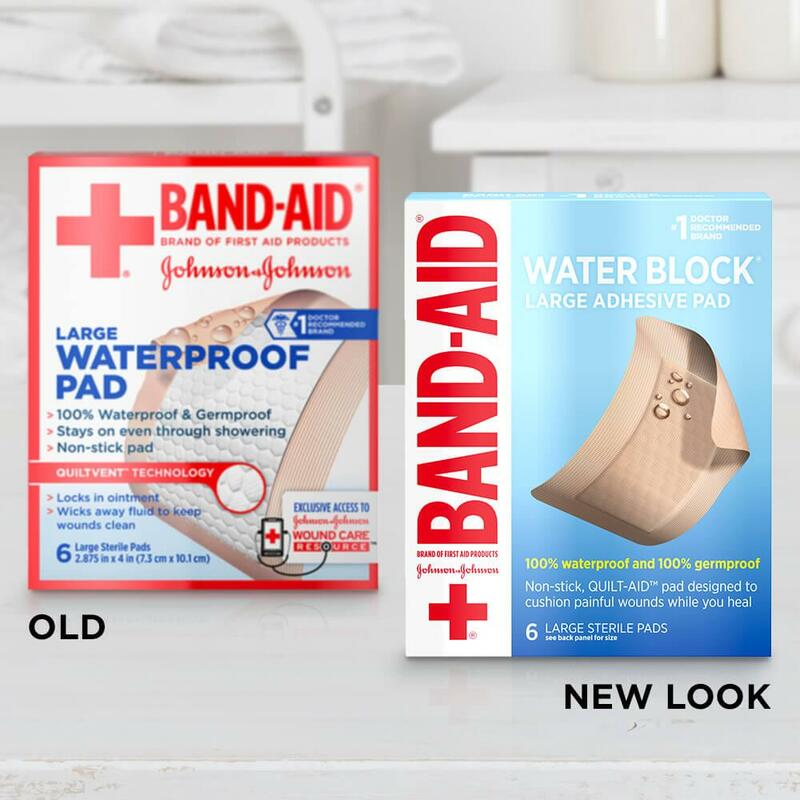 The QUILT-AID™ Comfort Pad is designed to cushion painful wounds while you heal. 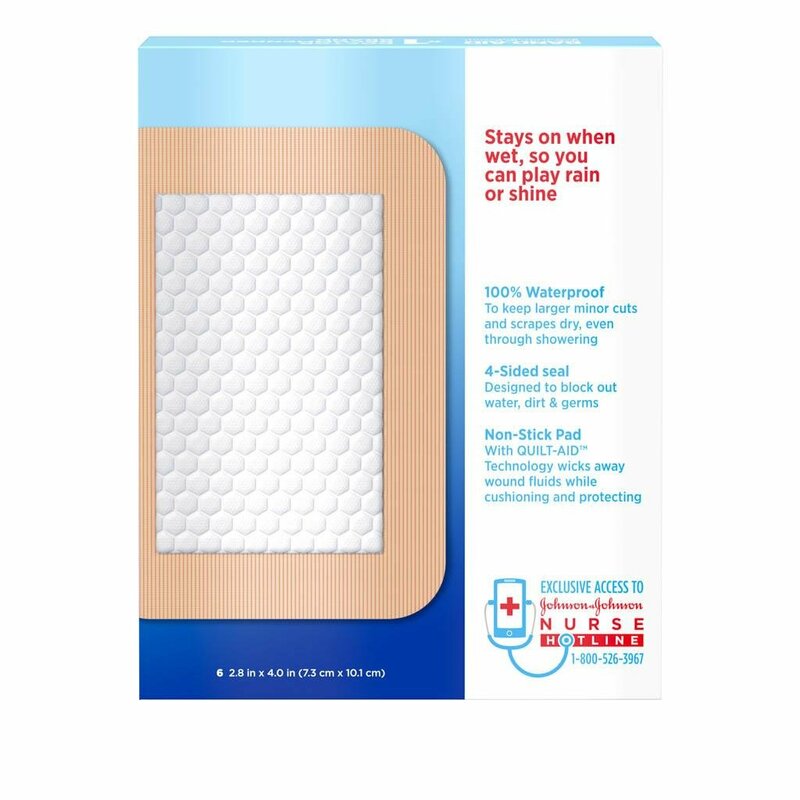 These wound care pads are 100% waterproof and germproof, even in the shower. 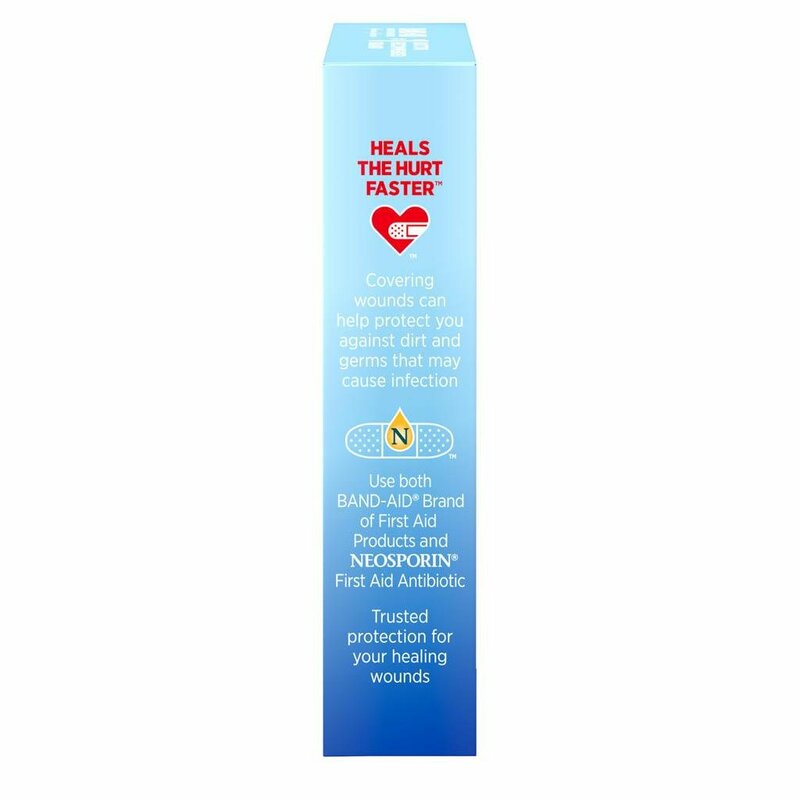 The 4-sided seal is designed to block out water, dirt, and germs to prevent them from coming into contact with your skin, while locking in ointment and keeping the non-stick pad dry. 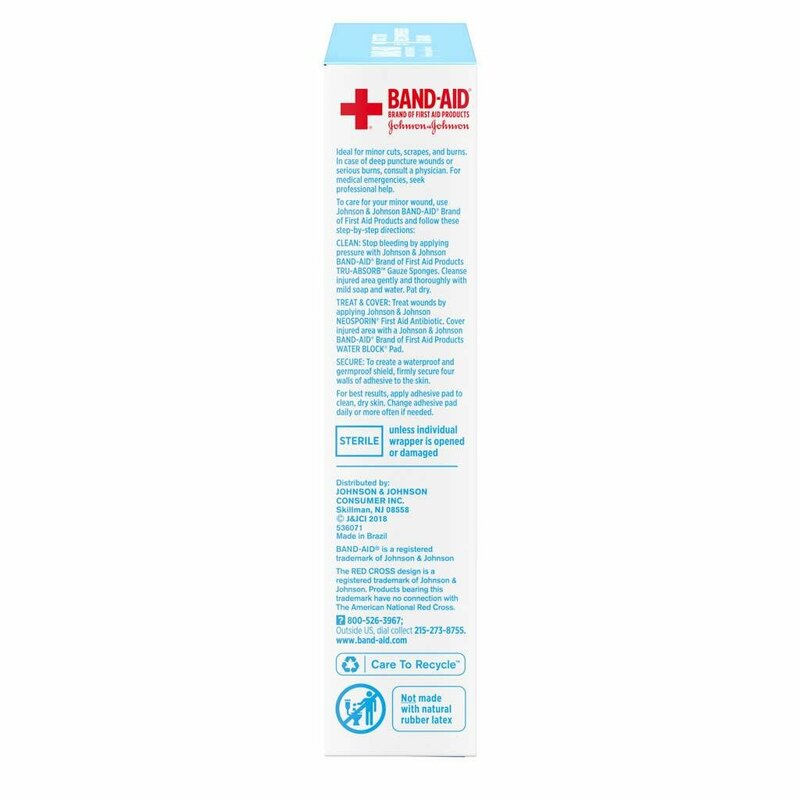 These large sterile first aid pads come in a package of 6 and measure 2.9 by 4 inches.